Hardcover, 8.75 x 10.25 in. / 230 pgs / 180 color. Italian retail designer Duccio Grassi (born 1954) is celebrated internationally for his ability to create mesmerizing store interiors: his clients include Max Mara in New York and Zara’s Rome store, and his sensuously sculptural and luminous spaces are spread out over the centers of luxury fashion, from Tokyo, Dubai, Hong Kong and New York to Milan and London. 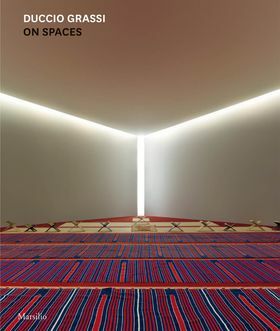 This book explores Grassi’s acclaimed, highly innovative contributions to the discipline of retail design, examining the qualities that have made him one of the foremost ambassadors of Italian elegance throughout the world. Testimonies from Sheikh Mana Bin Khalifa Al Maktoum, Luigi Maramotti and Mario Nanni underscore his stylistic language, and are buttressed by illustrations documenting his best-known projects across the world. FORMAT: Hbk, 8.75 x 10.25 in. / 230 pgs / 180 color.